Granny houses are the next generation key to modern accommodations. A granny house is built with one small kitchen, a small bathroom, one living room/area, one bedroom. It can accommodate one to two persons at the most. It is named ‘granny’ because young adults usually find such small accommodations perfect for their ageing and elderly parents. The building industry has named such Granny houses as Accessory Dwelling Units. These Granny houses are a complete package to what is necessary for a person who is living inside. However, it is the miniature version of what can be called as a house. Hence, one does not need to spend a lot of time maintaining it. The small size is meant for the persons living inside to be comfortable and cozy. Such houses are not expensive compared to traditional homes. One can use these houses to make their ageing parents live without any trouble. These units are either attached with another dwelling or are located in a secluded area. 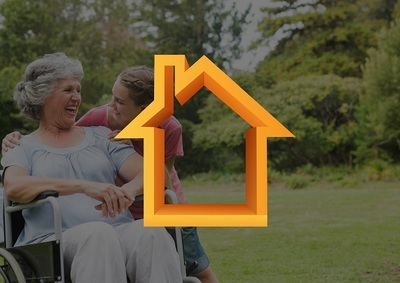 Why one should invest in Granny houses? if one is wondering about how real estate can affect their lives, such Granny houses can bring upon various changes in their plans. Owning properties is always considered great collateral for a secure future. You can easily rent your Granny house to others. With considerably little expenses required for maintenance, you can rent the place and consider it a healthy second income. If you have all the basic customizable options, you can set up a granny house one-room apartment or else, a small room in your garden, and give it on rent as paying guests. After a considerable amount of days, the couple will be gone and there will be another one who will be ready to take the lodging facilities from your Granny house. As parents grow older, their ways and behavior changes. Then tend to forget their glasses, keys, address. Hence, when their accommodations become small, there will be fewer chances for them to lose anything. Granny houses do not have stairs or a second floor. They are all in the ground floor. Since aged parents have trouble getting up the stairs in a traditional home, they can make good use of these accommodations. They also tend to prefer their own living space instead of depending on others. Hence, Granny houses can be attached to your own house and you can check up on them anytime you want. They will not be far away from you and with just one phone call; you can visit them in case of any emergences. Aged parents have the tendencies of not admitting that they are now dependent on their kids. Hence living under the same roof can create many disturbances. 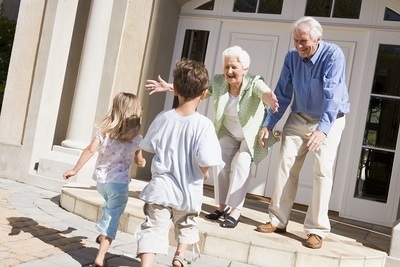 Hence Granny houses are the perfect solutions to making everyone happy and they can deal with their lives peacefully. Granny houses are more like a blank canvas where you can easily deign the interiors yourself. You can choose your colors and make sure it is perfect for the dwellers. In case you are planning to rent it, you can set up the outlook like a hotel with fresh linens and white pillow cases. In case you are setting it up for your parents, then you can go for mild colors and cozier ambiance. If you have an attached granny flat to your existing home, then it can also enhance the resale value of your house. On another level, with a high-quality granny house, you can also retain and maintain your privacy level by allowing your children to stay not away from you, but in the granny flat near you.